Rowan struggles to resist her hunger as a demon vampire while dealing with unwanted desires for a fallen angel from the past: a relationship that could only spell trouble. Not to mention the unresolved feelings she still has for a loved one from long ago. It's been four years since Rowan left Fallon, dubbed the City of Fallen Angels due to the Lapsus that swarm the city, leaving Remy behind. Unable to come to terms with bringing death to his doorstep, the Lapsus not satisfied until the entire Lamia race has been wiped from existence. Rowan is a Lamia, a vampire or child of the night. Having been turned four years ago by the prestigious vampire Kaji. She's awoken from a self imposed slumber to quench her need to feed, only to find human Sam in a darkened alley, a warm corpse under the powerful lure of magic. 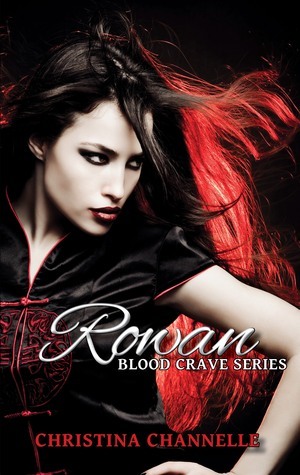 Rowan has no other choice, to leave Sam dying a slow death, or turn him. Sam can't remember the moments leading to his demise, or the supernatural force his body was so desperately trying to battle. Rowan is now responsible for Sam, as Kaji was once for her but left her to fend for herself. There is only one place she can take Sam to seek refuge, to the boy who once vowed to protect her, Remy, a Lapsus who's family have helped the Lamia for centuries. But it seems there is a greater force at play. Ancient Lapsus Merrick, who had been snared and trapped, is now stirring, with the help of his fellow fallen angels who are following the ancient's orders. No doubt involving Sam. When a knock on the door announces the arrival of Dahlia, Sam's foster sister, the pieces seem to fall into place. Dahlia is a half breed, seemingly, the only one of her kind with a mixture of Lapsus and Lamia blood, making Dahlia a rare commodity, and Merrick's estranged daughter. Her potent blood part of the puzzle to facilitate Merrick's release. But Merrick isn't working alone. Dahlia's half sister is forging the steps to ensure Merrick will rise again. Absorbing the ancient's power, she is unstoppable, and has Rowan in her sights. With power on her side, Rowan is no match for the all consuming magic and finds herself at the crossroads once again, her humanity draining from her body, struggling to fight another day. Only the return of Rowan's creator can save her existence, but will he reach her in time? I love Rowan's character. She's a tough vampire, who battles each day with retaining her humanity. She's strong, sassy and her only weakness is the two men in her life, her creator Kaji and the magical Remy. She struggles with allowing herself to be happy, knowing that Remy harbors feelings that she feels she can't reciprocate, believing that he deserves a chance at a normal life, a life that Rowan could never provide. The reader will find themselves immersed in their banter and sexual tension. Beautifully written with poetic passages, reminiscent of Tahereh Mafi's Shatter Me series. Absolutely loved it and can only hope that Christina creates a Rowan spin off series, the feisty vampire deserves her own spotlight.